Defined by the Payment Card Industry Security Standards Council, PCI standardization and testing was created to increase controls around cardholder data to reduce credit card fraud via its exposure. Validation of compliance is done annually by an external Qualified Security Assessor. It is a combination of responsibility of the merchant (you) and service provider (4GoodHosting) to achieve, demonstrate, and maintain their compliance at all times both throughout the annual validation / assessment cycle and across all systems and processes in their entirety. 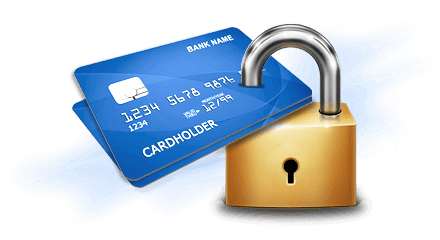 The impetus to create PCI (Payment Card Industry) certification was a perceived need to enhance the security of financial data transferred on the World Wide Web. Major credit card companies like Visa, MasterCard, American Express and others created the organization with a view to protecting customers with online purchasers. In addition, they aimed to further encourage customers to make purchases with retailers who are certified as PCI compliant. PCI Compliant web hosting is now available from 4GoodHosting, with the same quality, reliability, and customer service you can expect from one of Canada's premiere web hosting providers. Merchants and service providers online now can now have their website hosted in a secure environment that will be approved by PCI scanning tests. A PCI approval scan will allow you to secure merchant accounts with your financial institution and offer customers proven-secure online processing of their credit cards. We welcome any inquiries you have, and offer a full money-back guarantee that with PCI compliant web hosting from 4GoodHosting your website will consistently pass PCI scans. We will provide a free initial PCI compliance assessment, with additional quarterly compliance reviews as part of your paid PCI fees. 1. Which merchants / service providers are required to meet PCI security standards ? Any and all who collect, process or store credit card transaction information – independent of transaction quantity – are required to meet PCI standards as of June 30, 2005. Compliance failure may result in significant levies of fines or immediate expulsion from certain credit card programs. In addition, merchant banks are now requiring certified proof of PCI compliance from merchants having handled more that 20,000 transactions per year. This will also be required by June 30, 2005. Also known as acquiring banks, these merchant banks will need documented proof of compliance from merchants participating or be subject to possible fines themselves. Some banks are insisting on this regardless of the aforementioned transaction volume. 2. What are the PCI security standards ? These data security standards are network security and business practice guidelines put in place by major credit card companies to develop a uniform minimum-security standard between them with regards to protecting cardholders' account and transaction information. 3. How do I meet these PCI standards ? First, you must pass quarterly vulnerability scans carried out by a Visa or MasterCard qualified independent scan vendor, which will look at all Internet connection points whether they are office networks of home / office connections like dial-up, DSL, and wireless. This also applies to permanent Internet servers like your web site and email server or other similar connection. Second, you must successfully complete a security self-assessment questionnaire. It will ask specific questions to determine your internal security practices, both within the site and within your business operations location. 4. Where can I find more information ?